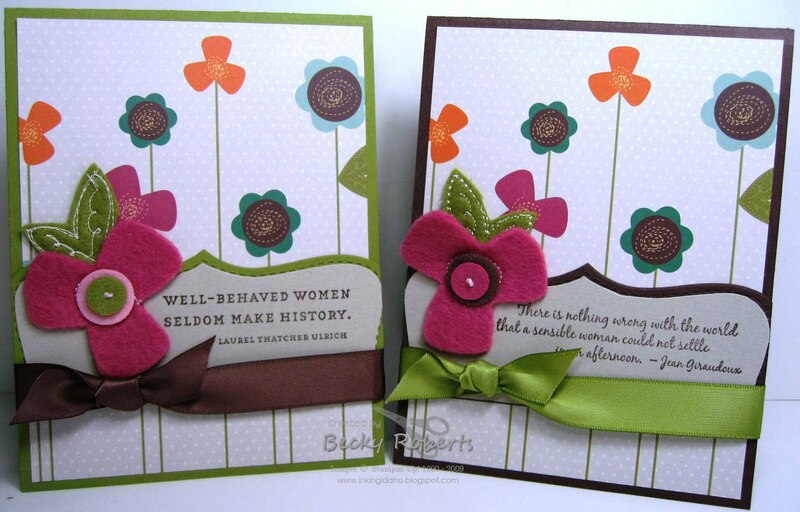 I have so much of the Sweet Pea Designer Series Paper Pack left and I am soooo NOT ready for it to be gone at the end of the month. I've been using it and trying to get rid of it, so this time I paired it with the new Favorite Thoughts set coming out in the new Summer Mini catalog on May 1st. Here are a couple close-ups and hopefully you can read the sayings, they are pretty cute! The Stampin' Up! Occasions Mini Catalog ends April 30. Don't miss out on your favorites! However, Stampin' Up! has decided to carry over some of the Occasions Mini products into the Summer Mini Catalog selling period and then into the new catalog so they will still be available!! 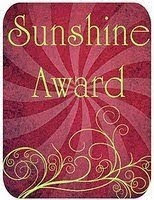 Thank you Nancy Dawson of Paper Dream & Creative Wishes and Martha Lucia Gomes of Stampartpapel for the Sunshine Award! 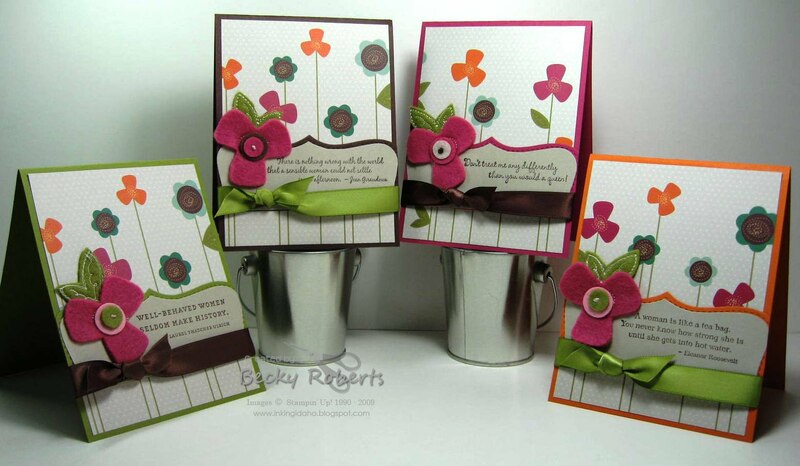 Melissa Rodgers of MeGa Stampin Studio for the Sweet Blogger Award! Thank you Gretchen Barron of Inspiration in Action for this Sunshine Award! Lovely card! 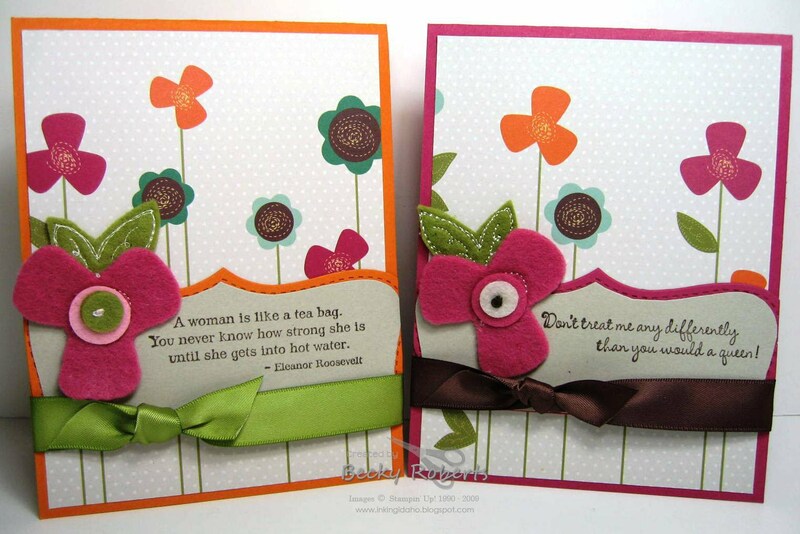 I love the Sweet Pea papers too..and I am not ready to let them go.